Blockchain technology will likely boost financial inclusion, but there’s still some way to go before a major impact is felt, according to industry experts speaking in China last week. 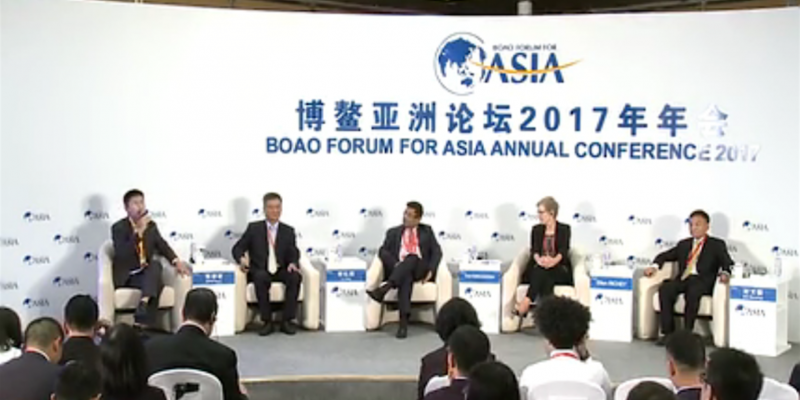 At the 2017 Boao Forum for Asia annual conference in Hainan Province, speakers including Li Lihui, former president of the Bank of China, and Shi Wenchao, president of Chinese bank card provider UnionPay, discussed blockchain and digital currencies, and how they view developments in the technology. Proving the tech’s credibility in finance remains the top obstacle, according to Li, who now heads the Blockchain Research Working Group at the National Internet Finance Association of China. “Blockchain is able to establish credibility for individuals and to incorporate regulations into smart contracts,” Li said at the Boao event. Ellen Richey, vice chairman of risk and public policy at Visa, also at the panel session, spoke of a prototype that her company is developing for consumers. Connecting car dealers, car insurance companies and loan services, the platform uses blockchain to share the identity information of car buyers. In this way, it avoids the need for multiple documents to be filled with the same information time and time again, according to Richey. Still, while such projects are indicative of the high hopes for the technology, progress has been slow, according to the panelists. “We still haven’t had a breakthrough for the core technology including consensus algorithms and smart contracts. And the lack of a standardized regulation is also a pressing issue,” Li said. Another challenge for blockchain is the profit model, according to Shi. “It will be a problem if such an investment cannot find a way to justify its cost,” he said. Shi also argued that more extensive use of decentralized blockchain platforms needs to be driven by centralized organizations. While UnionPay has built a blockchain R&D team, Shi concluded that he doesn’t believe the emerging technology will disrupt its operating model in the short term.